This is not Captain America, but it's as close as you will ever get to feeling like a real superhero. His name is Robert Zackery, an he is a jumpmaster assigned to the USAF's 4th Air Support Operations Group. Master Sgt. 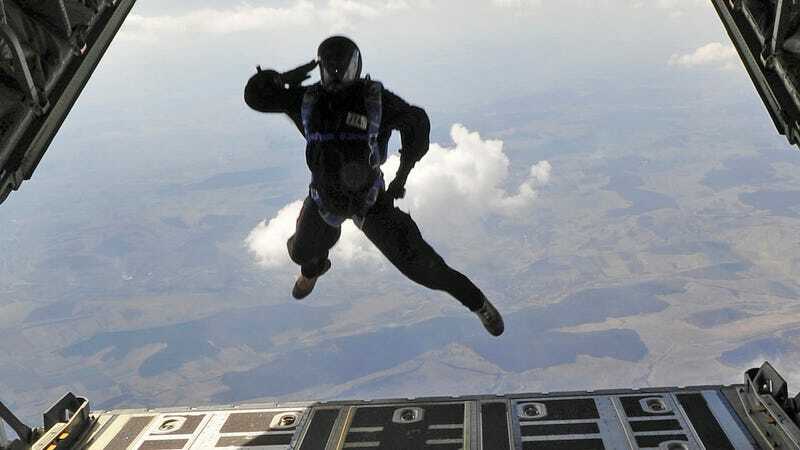 Zackery is saluting as he jumps off a C-130J Super Hercules over Campia Turzii, Romania. He's executing a high altitude, low-open jump.